Several readers have asked me Rheumatoid Arthritis weight loss questions. Is this confusing? Weight loss is actually a symptom of Rheumatoid Arthritis. There are several reasons. There is the typical appetite loss of RA, the anemia, and the fever that accompany RA. Also, methotrexate and other RA medicines can interfere with food absorption. RA patients with severe disease have historically been known to suffer malnutrition. “The increased catabolism raises resting energy expenditure, which leads to weight loss and reduced lean body mass, especially if energy and protein requirements are not met. This phenomenon is recognized as ‘rheumatoid cachexia’,” Cambridge Journal article. Some studies showed a majority of RA’ers were malnourished. However, weight gain can still be problem for many living with Rheumatoid Arthritis. Several facts of life with RA can lead to weight gain for many RA’ers. RA patients usually get less exercise, but what else is going on? Prednisone tends to make you gain weight. Muscle mass, which burns more calories, is lost with lowered activity level due to pain. It’s difficult to prepare healthy food when you are disabled. RA’ers may rely on convenience foods. RA’ers usually give up smoking and alcohol, which means weight gain for some. RA Weight Loss strategies: What can be done? If you are well enough at times to do it, exercise. More on RA exercise. Eat frequent small meals to keep your metabolism up. More RA diet tips. Eat plenty of protein to sustain muscle tissue. Tell your doctor you want to include weight considerations in medicine decisions. Get family members to help you get the healthiest options. For example: To bring you a roasted chicken instead of fried chicken when bringing a meal or gourmet tea instead of a latte. Avoid empty calories. Spend them on things that could improve your health. More RA food strategies. Keep close tabs on thyroid levels. Being a middle aged woman & an RA patient are both risk factors for low thyroid, which causes weight gain. Your turn. Tell us your best tip to maintain a healthy weight with RA! Should Rheumatoid Arthritis Patients Exercise? When I was first diagnosed I had lost a lot of weight, was anemic, low grade fever and had zero energy. My weight gain after that was due to many of the medications I took to treat the depression, prednisone, and the meds for sleep. I’m now on Wellbutrin (my dr. says this is the only antidepressant that doesn’t cause weight gain) and take Ambien for sleep. Due to the lack of energy I don’t exercise as much and am not as active so my weight remains an issue. I’m not over weight but have to watch what I eat, etc. Doesn’t seem fair. Seems like it goes from one extreme to the other through no fault of our own. Right now, I seem to have issues with my appetit. I believe it is a combo of the RA disease activity and the meds. I still take my Mtx in pill form. I also have hypothyroism. So, trying to keep my med dosages at the “right” levels is also an added difficulty! Hope the Orencia is working well for you. When I go back to see my rheumy later this month a med change discussion is on the agenda. Not sure what the next med will be! Thanks for being here and working so hard to bring us all of this information and discussions with one another! Thanks for the update, Amy. Let us know how it goes. i hardly eat anything and i keep growing.. my lack of movement is probly the key.. I started Prednisone 40 mgs a day and within days i gained so much weight , wasnt sleeping so i cut back to one 20 mg a day then worked my way down to none.. i couldnt do it.. the weght packed on in three months was astounding.. something in the lines of 30 pounds.. only been off the prednisone for a week so i hope to see it leave me just as fast as it came.. I PRAY!! Methotrexate, plaquinel,dilaudid, methodone, migraine meds and shots,nabumetone,metformin,folic acid, stomach meds x2, laxitive pills,muscle relaxers,alergy meds, and more ic ant think of whos got room for food???????? Yes, I know I need to eat better and exercise…and stay away from sweets – but that Reeses Peanut Butter Cup was AWESOME after my MRI this morning!! LOL!! I wish RA could make me lose weight! Of course, I wouldn’t want anemia or the other bad things that come with it. My problem has always been weight gain, even when I’ve been in remission. And that’s without prednisone. I’ve never taken it and really, really never want to. 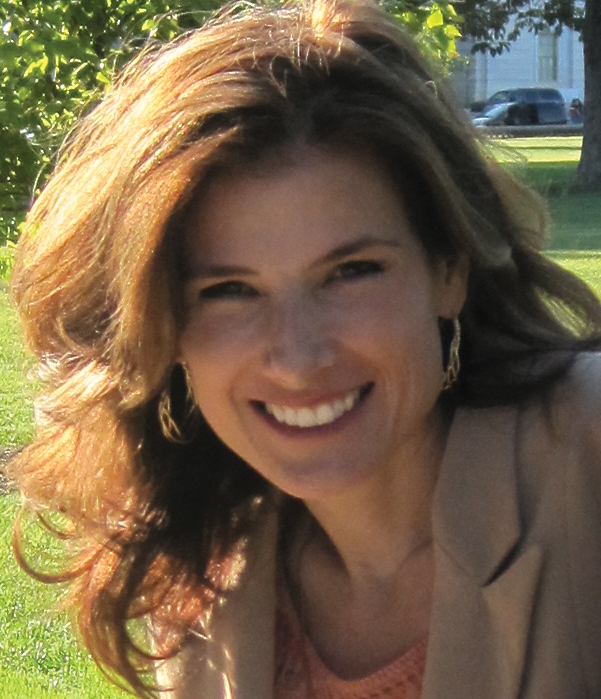 I was borderline diabetic; now I’m not. Losing weight isn’t easy, that’s for sure, but I’m living proof that it CAN be done. Losing that weight has given me a lot of new confidence in myself; I like how I look now much more than I did 50 pounds ago. I also know that I’m putting a lot less stress on my weight-bearing joints and helping my heart function more efficiently. With RA, that’s important. Eating a healthy diet is well worth the extra trouble. That is not to say that I don’t enjoy an occasional slice or cake or Reese’s Peanut Butter Cups. I love those things! But now they’re a real treat, rare enough that I really enjoy them when I eat them. I worked so hard at losing weight while building muscle mass 2 years ago. I was feeling extremely good about myself, then out of nowhere, Enbrel stopped working for me and I was hurting so bad that I couldn’t work out. Not feeling sorry for myself, it was literally all that I could do to put one foot in front of the other for most of last year. I put on 20 lbs and lost muscle, but have just recently been feeling good enough to start working out, so here we go again. I lost alot of weight (100 pounds after the birth of my daughter) and then when I got pregnant with my son 5 years later and had to use prednisone during the pregnancy, I packed on 85 pounds. I am losing it, slowly. I find I have to switch it up. 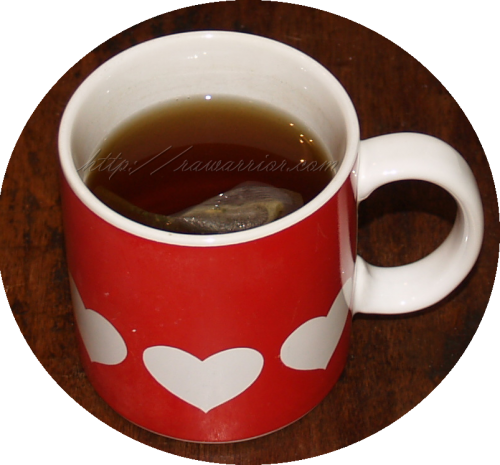 Right now, I am just trying to add more exercise, more water and green tea, while watching that I am not eating a lot of junk. All my weight gain was due to Steriods. I am now losing weight, but it’s really HARD! Ugh! Good luck with that Jamilla. Use excel to chart what you eat and how many calories. Excel is handy because I only have to figure calories on a food item once, after that I can click on ‘edit’ then on ‘find’ and simply type in the item to see what I’d previously entered. By tracking calories I tend to steer clear of things like fried chicken because I see the all those calories right in front of my face. Hi, hope someone can help. My husband is 6ft and weighs 160. His doctor had done a multitude of tests so far and all negative. He has had RA for about 15 yrs and is on mthx. He is 68 years old. He eats a well balanced diet, loves ice cream, and usually has a bowl of cereal before bed. He is so skinny and cannot afford to lose more weight. How can I get some weight on him. Thanks for any help. Dear Blythe, I hope you will go thru the links on this POST. Does his doctor seem concerned? What is the doctor saying? Maybe you could show him the medical articles & ask him if this is part of the problem. What you are saying sounds very serious. Blythe, I was so tired when I replied last night. I wonder if I gave you the right link. I think this might help with more info – click here. Good luck. Wow, I can empathize with many here and there are a lot of great ideas. My weight gain came as a precursor to being diagnosed. I am not as organized as Lisa, but writing down what I eat throughout the day has helped. Especially since I discovered that there were more days I was skipping meals because of my meds and nausea. It has made me more aware to make an effort to eat something of worth so that my body has what it needs to fuel the morning hours. Another solution I stumbled on was a small cup of fresh lemon juice, and yes I often make it a lemonade with a little sugar and a touch of salt. On really bad days I water it down so that it is just lemon flavored water, but it has made a difference in my weight and most importantly in my bouts of nausea. Orange juice also helps, so far I have lost 50lbs and kept it off for the past 7 months. However, I confess I am with Krista, after sitting through the twisting and draining that comes with the RA tests it feels really good to indulge in the sweet comfort of a Reese’s! ever since i was diagonised RA i lost so much weihgt nd it stresses me e lot….wat can ido to regain ma weight nd kip it lky that 4ever? I have found that eating small, frequent and usually healthy, meals really helps with my weight loss. Also, when I am at home, I weight myself everyday and if I have lost weight, I really try to eat a little more for a day or two. The muscle loss is a real problem for me. It seems like nobody in the medical profession tells you about the muscle weakness and loss until it happens and then you realize that if you are able, you are going to have to work twice as hard as the average person just to keep walking or doing a minimum of housework or cooking done. First of all I have no Facebook or know what a Tweet is..but I do have a very important question for all of you. I have GAINED about 25 lbs since diagnosed with RA in the beginning of this year. I just saw my cardiologist (I have coronary artery disease) and he saw a dramamtic difference in my appearance. He has started testing….but could the metho injections be the cause? 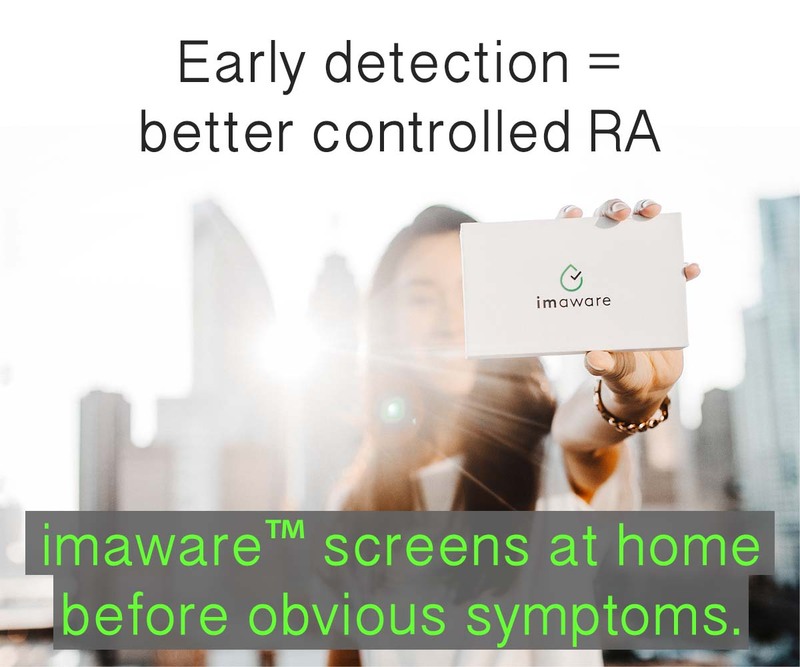 Could RA be the cause? It seems I am carrying a lot of water all over my body. I too also have sores on my hands. Has anyone heard of weight GAIN? Have you been checked by an endocrinologist? There could be a hormone imbalance (such as thyroid or adrenal) which could cause the weight gain. Also, there are other meds that have that side effect such as Lyrica or even in recent studies, Remicade. What are the sores on your hands like? Have you shown them to a dr yet? If not, taking a picture is a good idea in case they heal over before you get to the dr. Since the onset of my RA symptoms (my rheumy is still unwilling to diagnose me with RA – calls it “systemic inflammatory polyarthritis”), my appetite has decreased and changed dramatically. I have daily abdominal pain that changes sporadically in its severity and I crave foods that I never craved before. I also don’t want some of the heavier foods that I used to love. I’ve lost about 10 pounds, which is fine with me, but wonder what’s going on. I’ve had every GI test on the planet, including an abdominal CT, endoscopy, colonoscopy, an H-pylori breath test, and extensive blood work. I would really love to know if anyone else thinks abdominal pain accompanies RA. Aline, I also get abdonminal pain, and have gone for every test under the sun! The pain is quite high in the abdomen. The last time it happened, I got an xray, and all it showed was that I was —-embarrasingly—constipated, and that was the only thing they could find. Although I “go” everyday, apparently not enough. SORRY TMI! I really appreciate your reply. I’m going to lose my mind if I don’t figure this out pretty soon and it’s reassuring to know that I’m not alone. LIke yours, my pain is mostly up high and center just beneath my solar plexus. It spreads throughout my abdomen though and the severity changes throughout the month. It’s much worse just before and during the first few days of my period. Hormones perhaps? I don’t know. I have another follow-up with my gastroenterologist this week and am hoping he doesn’t just dismiss me as an unsolved mystery. Oh, and never worry about the TMI thing with me. I lost almost all modesty years ago when I had children and again with the onset of all these odd symptoms, the newest being intense bladder pain and incontinence last week. How’s that for TMI!? A test at the medical clinic showed blood in my urine but no bacterial proof of a UTI. Antibiotics seems to be working, but it’s yet another unusual and mysterious thing to keep me humble. I am now down to 129 pounds, just 6 months ago I was somewhere around 159 – been told I am malnourished but it was referred as being due to “nerves”. Thank you for this information, I am going to pass it on to my Dr. on my next visit! Your reply comes at a perfect time. I’m pleased to say that, thanks to a wonderful gynecological surgeon, I’ve discovered the source of my abdominal pain -endometriosis. I had no idea that I even had it, but he suspected it and did a laparoscopic exploratory surgery last Friday. He found endo (uterine) tissue that had spread and bled all over my belly, including near my bladder and up high near my diaphragm. I’m 43 years old and always thought endometriosis was a younger woman’s disease, but I guess not. Anyway, I’m still recovering and don’t yet have any long term solutions (going to meet with him next week to discuss either complete hysterectomy – mom died from ovarian cancer – or hormone therapy) but for the first time in months, I’m hopeful. First of all, RA Warrior is a very informative web page. I have learned so much from it. Over the past several months I’ve had almost continuous nausea. I couldn’t find anything specific about it on this site. I wonder how common it is across the board with RA patients. I was diagnosed with RA around 7 years ago. I have noted several instances over the years of nausea and severe indigestion. It has gotten worse this summer-an almost daily occurance. I had an endoscope and MRI this summer. Both were normal. Have you addressed this issue in the past in this newsletter? 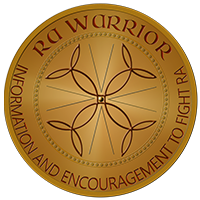 I have been reading RA Warrior for a couple of years and appreciate you Kelly, and all the contributors. I have lost 24 pounds without trying since last August. I am very grateful because had been “trying” to lose weight for many years. It is probably the RA catabolism and or the Arava that I started last summer. I am also on Enbrel and Plaquenel. Sometimes I feel weak but usually not. My back has been spasming and painful if I stand too long. Have started using a cane for errands and general walking. Will start Physical Therapy tomorrow and want to begin a strengthening program. RA is mildly to moderately controlled and I’m grateful for every day. Blessings to you all. Thanks for posting the excellent article on RA and weight loss. I am one of the few that loss weight caused by ra. I the amount of food and type of food I should be over 3000 pounds. Instead I am losing weight and have been on Prednisone for 11years. I can eat as much or any type of food I want. The weight loss is getting too much starting to worry that something else is going on. Kelly, I know your post was from 2010.Did Orencia help you? No, unfortunately it did not help my RD. But I know others who feel it makes a big difference. my mother got arthritis problem since last 30 days. initially White Blood Cell was in high amount.doctor diagnose some infection inside and start to give antibiotics. which make a problem for my mother stohmic .anyhow my mother facing the following problem . CBC, ESR, CRP , RA Factor, Anti CCP. Asif, your mother needs to be checked by a rheumatologist since these symptoms and blood levels may indicate RA / RD. Try to find a rheumatologist in your area who is rated high by patients. I’ve been diagnosed with RA (RA factor 48), after 2 years of being sent to various doctors performing multiple tests, scans, MRI’s, CT with and without contrasts and the ultimate colonoscopy! On MTX, prednisone, Duexis and Folic Acid. These have brought me down to an RA factor of 30. They are now wanting to add an Humera injections to the mix. Does anyone have any information/comments/ideas as to an alternative? It just seems that there would be some lesser of evils to combat RA to get this to a more manageable RA factor. I hate needles! Rheumatoid factor does not track well with disease activity. The important thing is to improve symptoms and function. And if you have high inflammation, to get that down. Sounds like the steroids and methotrexate may be helping with that. Humira or another biologic would be added because the others didn’t help enough. These meds would definitely be the lesser of evils to what the disease could do to a person if untreated (crippling and earlier death). Minha, i can’t be sure why in her case, but RA can cause systemic inflammation that could affect her appetite. Also it causes something called cachexia which is a loss of lean body mass (muscle and bone). It could possibly be a side effect of her meds but not a common one. I hope she’ll talk to her doctor about this. Low BMI is a serious sign in a disease like RA / RD. I’ve lost 63 lbs in 3 months. I’ve been eating healthy and seem to be losing despite the prednisone. My question is, can rapid weight loss cause RA flares? The more weight I lose, the more flares I’m having. It’s frustrating, because I thought eating healthy would actually help my flares. I’m so sorry it’s getting worse for you right now. I assume you are losing weight on purpose – that is a lot. So congratulations on that hard work of eating healthy. I do not think weight loss can cause flaring. However, the opposite can be true: more severe disease can cause weight loss. Also, I have never found that, as commonly believed, disease activity is worse for heavier people. Lower BMI statistically predicts worse disease activity and even higher risk of death in people with RD. Personally, I have always eaten very healthy and it did not prevent me from advancing to severe unrelenting RD that affects all joints and several organs. I’m not sure that diet will ever be proven to be a culprit for RD. Hii, my mom she is diagnoised with RA since 3 years. But since last year she loosed her weight alot. About 30pounds.. I need help to gain her weight once again. She is taking medrol since 3 years..And I searched about medrol pill has side effect of weight loss… she started doing diet of paddison program before 2 months her esr was 70 and last month after doing diet her esr was 38.. but she is thinny before having the issue of RA but after the issue she became more skinny doctor told that it is due to rheumotied arthritis.